This is my first thread so please be nice to me..... ...and please point out any mistakes. 7) Flexibility to switch to a 5GB plan and back to 1GB plan or 8$ plan each month depending on the usage needs. What you need is a temp line for US roaming. with the March Break coming up next week. 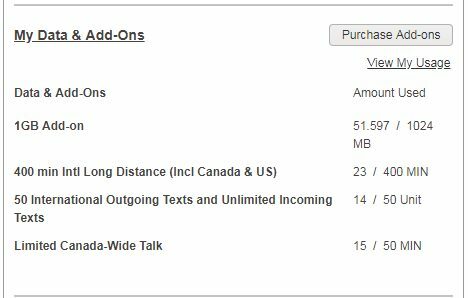 Get unlimited calling to Cda and US, unlimited texting, and 250MB of data while in the US of A, all for $20 +tax CAD, good for 10 days which should cover most March Break vacations. 3 - create a new activation at home and sign up for this $10 plan. You will get a $25 credit applied to you account. 5 - Optional - if your current plan has call forwarding, you could call-fwd your current line to your new PM number, or port in. The $25 referral credit goes until Mar18. If you combine all 3, along with Autopay 2$ discount and 25$ referral credit here is my calculation. For incoming calls which could be long always forward to a Fongo....call forwarding won't use up minutes in public mobile like other providers. Tried and confirmed. The reason for this post is because, this worked out for my family member who needed to some data , some international minutes ( or US calls or for emergency etc) + some talk-time and few text,...only ideal for very light users. who need all these. To add to this, someone might have questions about going forward from second year what could be the bill. here is the breakdown,. over the years you may end up getting few referrals and the price should be even less then....also account in the loyalty credit of 1$ every year.... considering all that, the possibility is your bill could be even lesser than 9.66 from next year onward..
For example 12$ loyalty credit the second year, you have to do nothing to get this.... just be with them for 1 year and you get 1$ off every month... now over the years you might end up referring someone, lets consider you only referred 1 person. And if you refer more people or if you refer during the 25$ credit time, then you can come close to 0$/month if you referred for example 4-5 people. Last edited by aniadoor1 on Mar 21st, 2019 9:08 am, edited 39 times in total. Newbie should read first page to get the general idea about the deal. Then, read the last few pages to determine whether the deal is still going. Ask after reading if you still have question. $25 referral promo is online activation only and will expire on March 18. If you want to take advantage of the 6 months $10 credit/m on $30+ plan, activate youyr plan at home by March 4th. Please note that you will get only $10 if you activate in store. Please also see the following thread and read thread summary for details and FAQ. Yes. Both incoming and outgoing calls are counted. Even calls unanswered and forwarded to voicemail use up minutes. By disabling voicemail using extended absence greeting, you won't see minutes deducted. 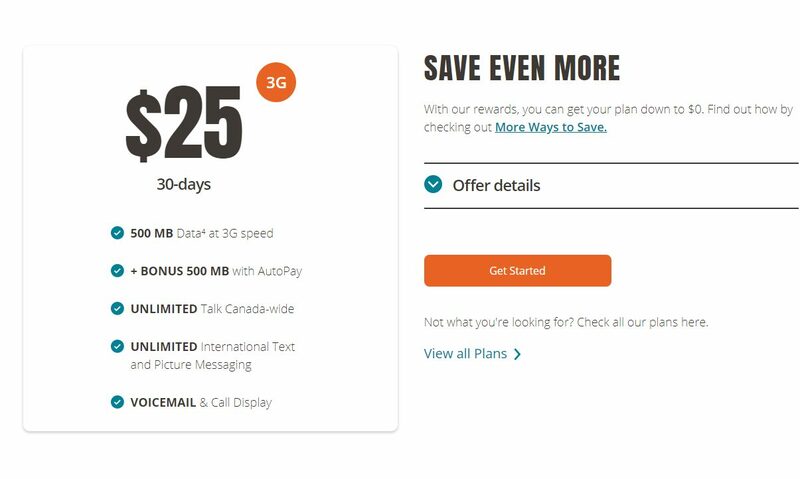 At this point, if you are looking for a cheap phone plan, you might better off just get data plan for $15. VOIP and all other instant messaging program would be good enough for daily communication. With google hangout/fango, the daily phone call could be made free with good signal connection. Plus in case of emergency, the phone is still able to dial 911. This is exactly what I am planning to do when my Fido $15 3gb data plan's 2 year contract expires. Ideal for my cell phone usage. Great summary. Last edited by slpless on Feb 18th, 2019 9:56 am, edited 1 time in total. I did this for the last 15 months, but I decided to move to public $10 with data & long distance add-ons. Too much hassle and incovenience for me. I completely understand and we have tried it years back. but for emergency voip is not dependable via data connections...it depends on location/coverage aswell...so didn't workout for us.. True. This will only work for light data users and/or heavy wi-fi users. Last edited by slpless on Feb 1st, 2019 11:38 am, edited 1 time in total. 50 texts may be sufficient for seniors but definitely not for kids. Just my humble opinion. Would love to see Public offer an add on for additional texts. Also, $8 per month will be $3 after 5 years thanks to loyalty discount, $1 each year up to $5. It's not $11.75/month, it's $8 per month and then you can choose whatever add-ons you need. Correct... 11.75$ is the calculated value after adding the addons and if they are able to survive with it..